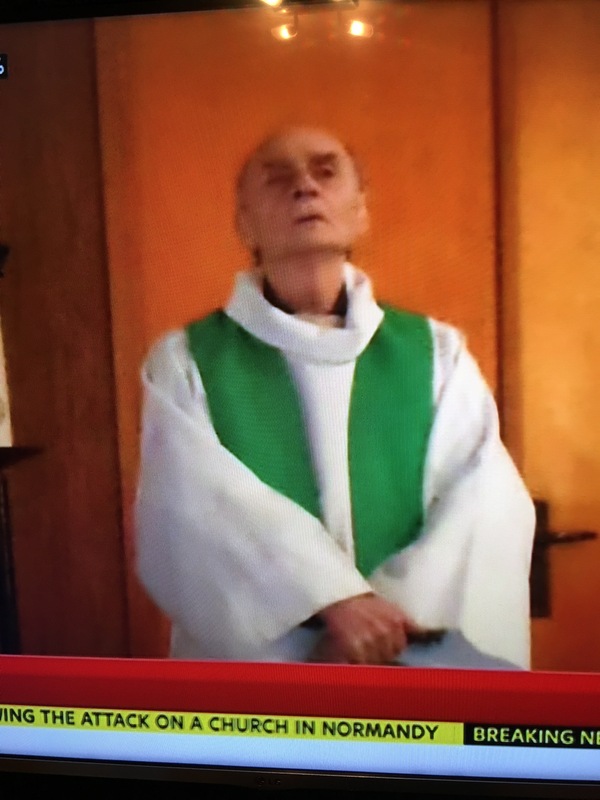 RIP Jacques Hamel (84 year old priest killed in Saint-Etienne-Du-Rouvray). So-called ‘soldiers’ picking on the vulnerable again. Thugs creating fear and panic. The audacity to call themselves soldiers. Indeed! ISIS have no idea what true soldiers look like. They are pretenders…farcical…trying to deceive the world that they are fighting for some deluded, non existent cause. Pretending to be Muslims, pretending to be justified in their delusions. When the fact is that ISIS is run by murderous cowards and mentally unstable individuals carry out random, crazed attacks and ISIS ( which is run by crazed thugs) releases warped statements that the attacks are carried out by their thugs.